This piece is a new discovery to the collectorsworld, as it shows a dialversion that has never appeared on the market before. You won´t find a second one like this anywhere on the internet or on former salesarchives of dealers and forums. 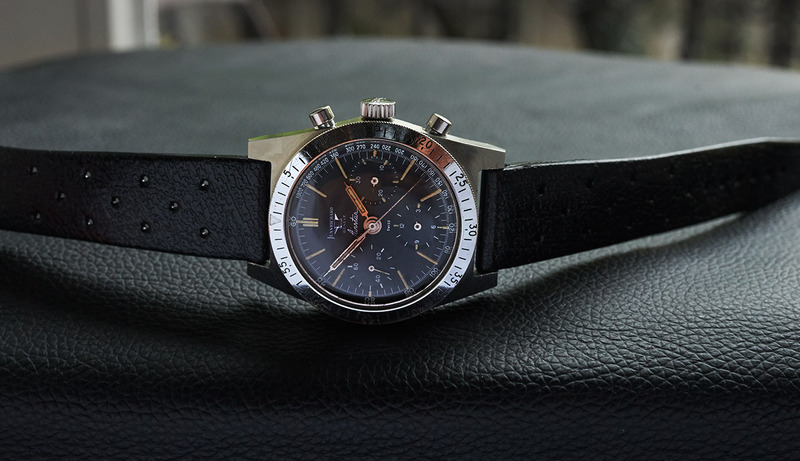 In the past years the vintage watches of the small swiss nautic watch company Aquastar have developed to a serious huntingfield for collectors. The most sought after models are the „one eyed“ Deepstar and the Valjoux 72 powered Airstar (both have 38mm without crown). 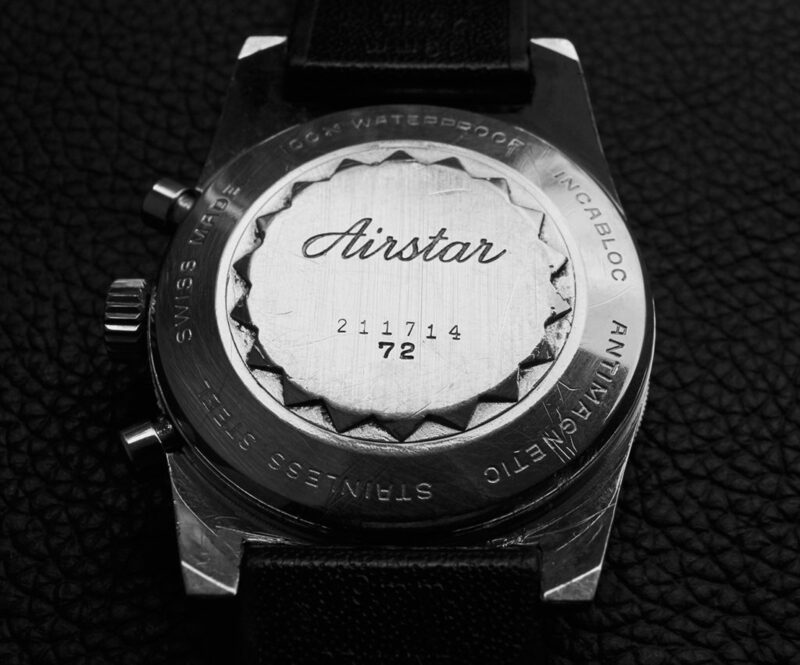 Airstars are even rarer than the Deepstars and we have seen about 10 pieces of the AirStar with „Aquastar Airstar“ print on the dial so far. 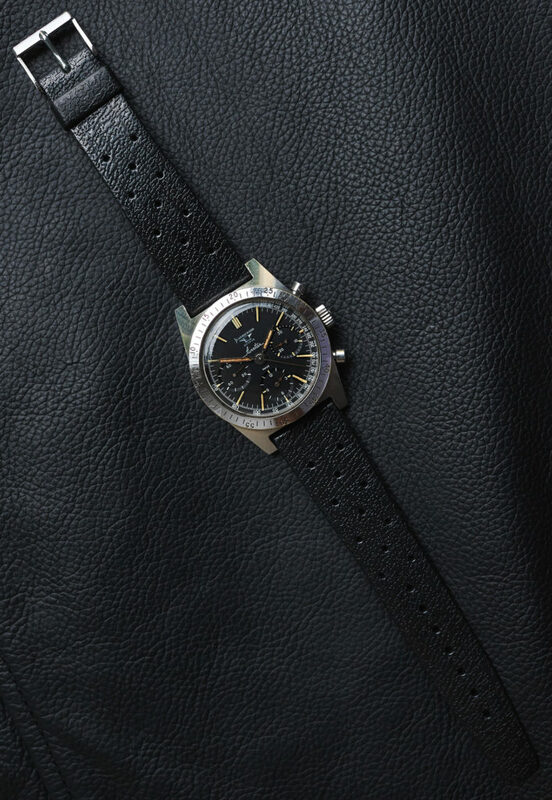 But as we have learned, the original Aquastar catalogue from the sixties showed us only an AS with a solo „Jean Richard“ printed dial. Not more than three pieces have appeared to the collectorsscene so far. 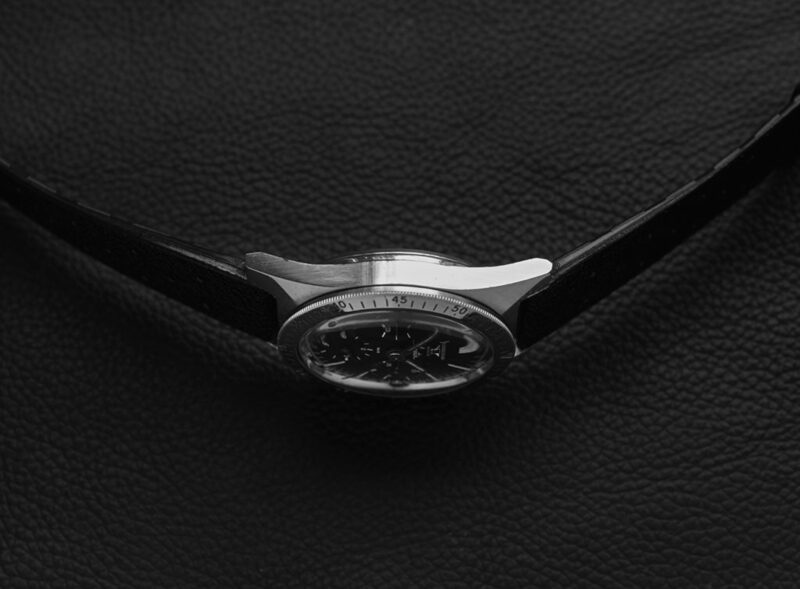 After researches we could find out that Jean Richard was the motherbrand of Aquastar. 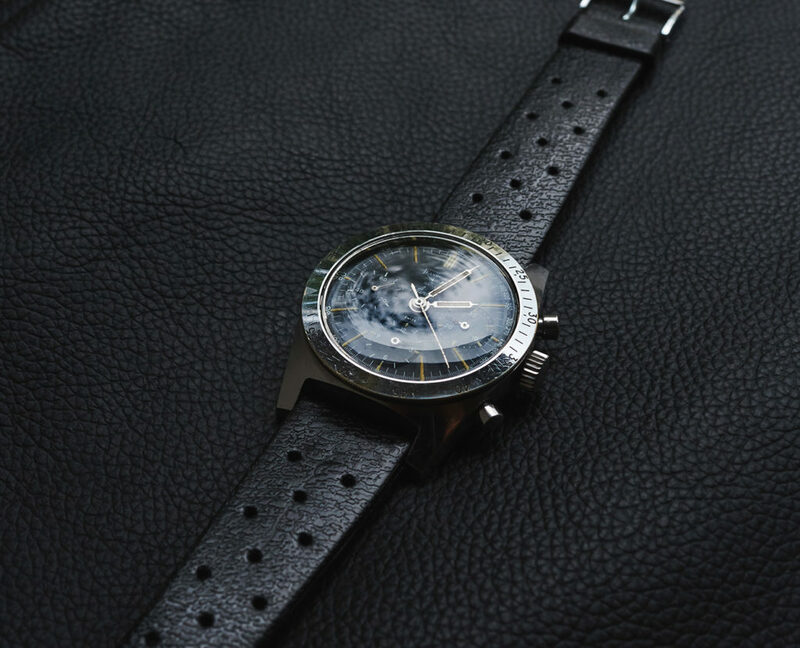 Until today it was clear that the „Aquastar Airstar“ and the solo „Jean Richard“ printed AS were more or less similar watches but with clear differences in the bezel, the dial printing and the lume, which was radium on the „JR version“ and tritium on the „AirStar“ version. It was never clear at which point Aquastar started to switch from one version to the next and also even if the “Airstar” printed version have ever been sold at that time as most of them appeared in mint condition. 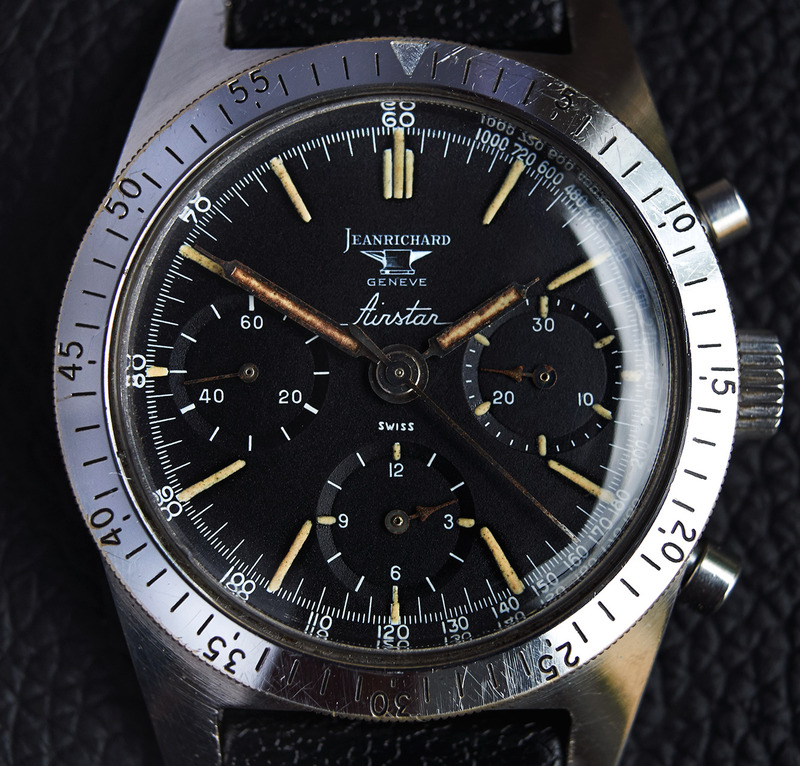 Until today, because this transitional dial proofs us the connection between the two versions we knew so far, as it combines the words „Jean Richard“ and „Airstar“ on one dial. (Please see the photocollage above for comparison). 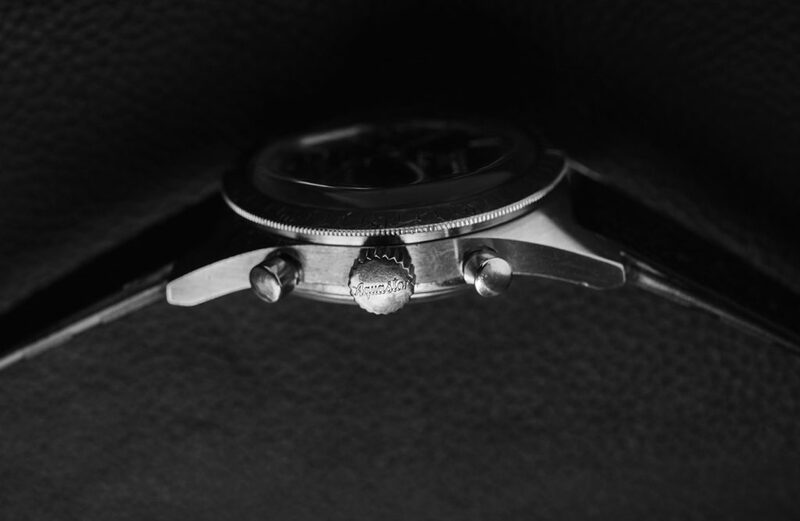 This watch shows us clearly that Jean Richard and Aquastar are more or less the same brands or at least brands that had their source in the same company. 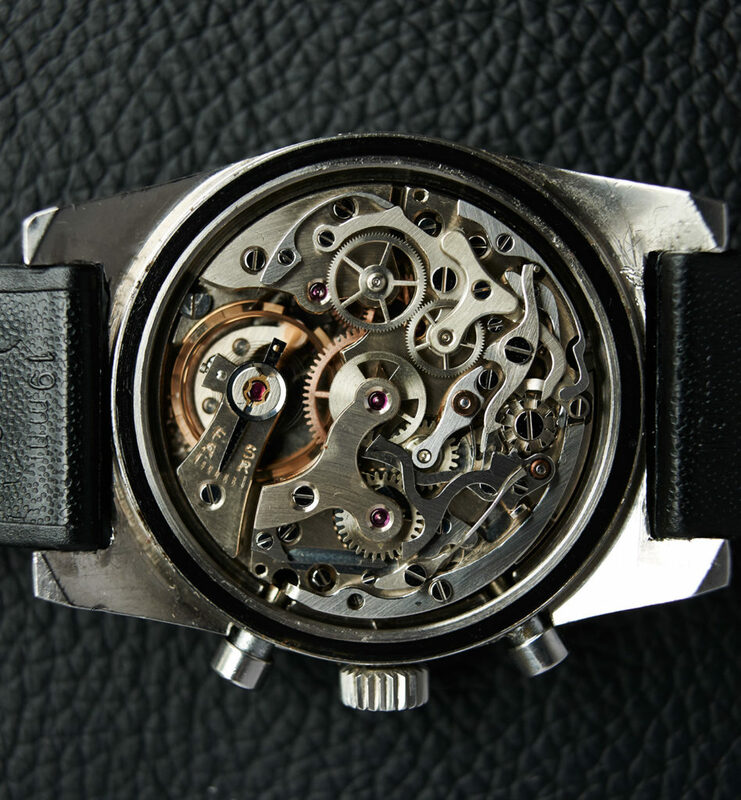 This is what makes this transitional piece to watchhistory in a very obvious way, and it´s, until today, the very first watch with this dialprinting that has ever appeared to the vintagewatchcollectorscene.